Use TB2QA7F to reference this item. 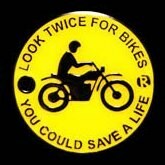 All of us who drive cars and trucks today need to ask ourselves; How Can I Become More Aware of Motorcyclists? this TB is not in the Pupukea Ponderings. Could you please claim this TB from the cache listing? this coin is not in the Pupukea Ponderings. Could you please claim this TB from the cache listing? Become More Aware please! I have a street bike and I get ran off the road almost on a daily bases.